The Crusade presentation at Sheffield ARC was very successful and I would like to thank the officers and members of the club for their excellent hospitality. I hope that my talk has prompted some the members to take up CW and wish them all the best on their journey onto the Morse bands. This event is open to everyone and it is being held on the Monday the 11th of February 2013 Doors open at 7pm and the presentation will start at 8pm at the South Yorkshire Transport Sports & Social Club, Greenhill Main Rd, Sheffield, S8 7RH The Venue has spacious seating for 50 people with Bar and Toilets and excellent parking facilities outside. There will be a charge at the door of £2 (£1 for members) and to help with seating arrangements, non club members please contact Peter G3PHO beforehand. 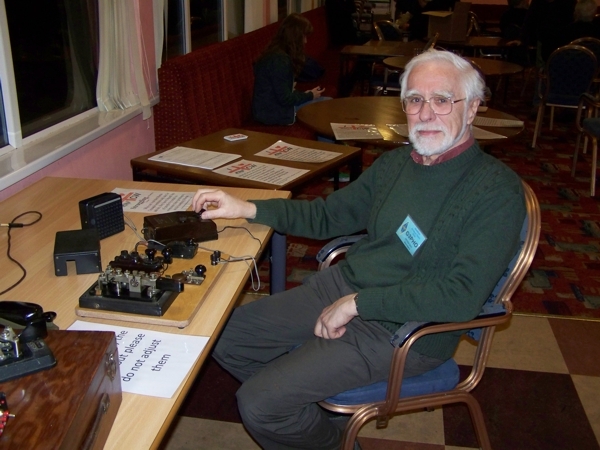 You can visit Sheffield Amateur Radio Club website to find out more about the club. 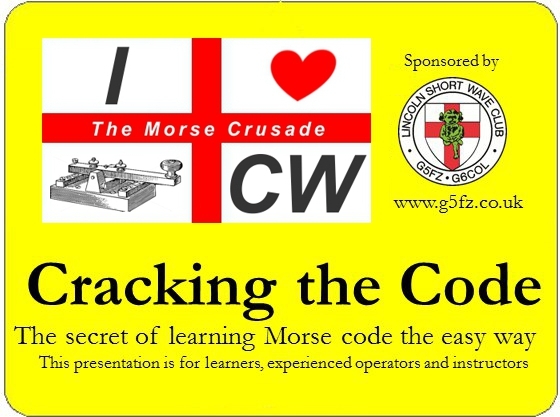 The presentation is designed to be suitable for beginners in Morse to Morse Instructors and everything in between and is very comprehensive, it also includes tackling problems that can be encountered during the learning process. Part of the presentation will also cover the topic of how to set up Morse Training in your own Club. Finding the venue: You can’t miss it, as it’s at a large roundabout at the northern end of the A61 dual carriageway that runs north from Chesterfield to the Meadowhead/Norton area of Sheffield.Sheffield & District ARC which can be found here will be monitoring the local UHF repeater if anyone gets lost.